Diamond Ring Pawn Loans at Alma School Pawn! There are very few ways for a person to generate a significant amount of cash in a very short period of time, but one of them is to pawn your diamond rings in Mesa, Arizona at our pawn shop store. Diamond engagement rings and diamond wedding rings retain their value very well, because diamonds themselves have an enduring appeal and demand in our society, which allows them to stay popular even with the passage of long periods of time. 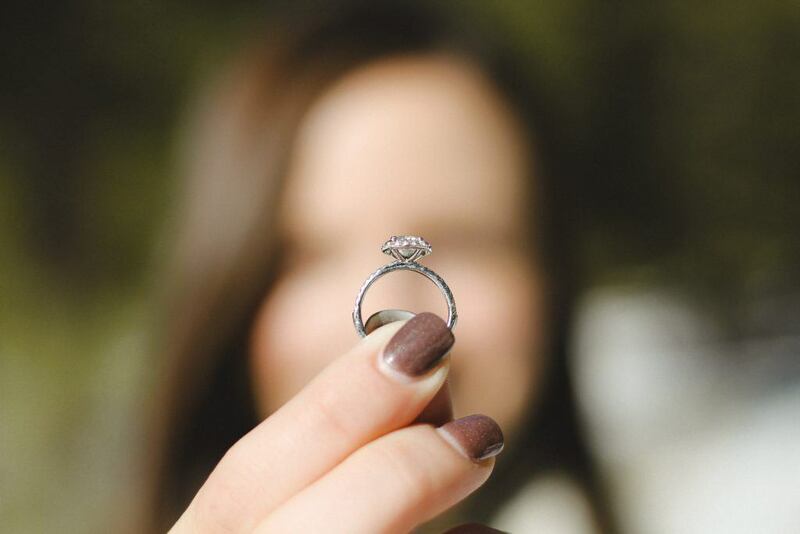 If you prefer to sell your diamond wedding ring or your diamond engagement ring, because it has become a reminder of a relationship that is no longer in effect, we’ll be happy to purchase your diamond rings at fair market value, and put the highest amount of cash possible in your hands very quickly. Our resident diamond expert will closely examine your diamond rings right in your presence, so that you can be confident of receiving the most accurate and the fairest appraisal possible. However, if you prefer to retain ownership of your diamond rings, we will be glad to arrange for a pawn loan agreement with you, in which you would still receive the highest possible payout, and you would then have the responsibility of repaying that loan amount over a period of 90 days. For each month of the agreement, you would be required to pay a monthly installment amount, consisting of both an interest component and a principle component, and if for any of those months you are unable to pay the entire amount, you would have the option of remitting the interest portion only, so that your agreement can be kept in good standing. Repayment is Easy, Flexible, and Cheap! Obviously, it would be to your advantage to also pay down the principle amount each time, because that will shorten the length of your repayment period, and allow you to steadily progress toward a zero outstanding balance. In any case, upon the completion of your pawn loan agreement and successful repayment of the loan amount, you would again take ownership of your valuable diamond rings, and you would then be free to arrange for future lawn pawn loan agreements with us at your convenience. We service a huge geographic area in the state of Arizona, so if you are anywhere near the communities of Gilbert, Chandler, Apache Junction, Tempe, Scottsdale, or Phoenix, you are well within driving distance of our Mesa, Arizona pawn shop store, and we can promise you it will be greatly to your advantage to bring your diamond rings to us before any other store. If you happen to have other valuable jewelry items at home, which you would also like to use as collateral for a pawn loan agreement, we encourage you to bring all those pieces in as well, even if you are the owner of an entire collection of estate jewelry, antique jewelry, or vintage jewelry. For any of these collections, we can promise you superior customer service during the transaction, and the highest possible payout for all your valuable jewelry items.